The Digg team (which is apparently just 5 people) has been working hard since the announcement that Google Reader would be retired. The plan has been to make a replacement to Google Reader that has all of the features that power-users want. This is a great idea because so far Feedly hasn't been the best option for power-users and while NewsBlur is great for power-users, the mobile apps are somewhat lacking. 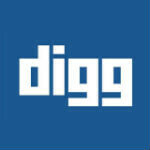 Now, the team has announced that Digg Reader will start its launch next week. migration from Google Reader, a clean UI, two-way syncing with mobile and web, and support for key actions like subscribing, sharing, saving and organizing. In the 60 days following the version 1 launch, the team will be working on creating an Android app, improving speed, integrating 3rd party services (Evernote, ITTT), improving sorting, and dealing with any of the usual bugs and user concerns you find in a version 1 launch app. After that, the team will be working on search functionality and notifications. It sounds like a pretty long road before Digg Reader can be a full-scale RSS reader replacement, but it's always fun to see the development process. We would have liked an Android app at launch, but given that the development team is just 5 people, we can't really fault them. Digg has maintained that the product will be using the "freemium" model, like NewsBlur, but the launch features and a number of others will be free forever.